Are you a security professional or “Type A Personality” that likes to exceed standards or goals? If so, SEM has the most secure product solution for you. The SEM Model 344 is a High Security Paper Shredder, which exceeds the NSA/CSS 02-01 standards for classified document destruction. Why settle for a status quo Level 6 paper shredder when you can be on the cutting edge of data destruction? 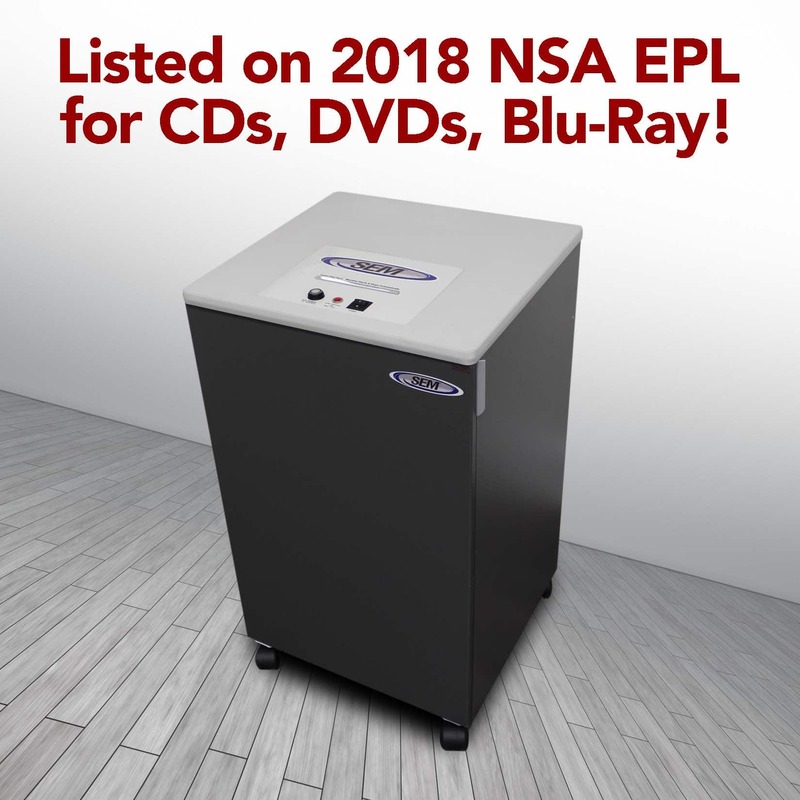 The SEM Model 344 High Security Paper Shredder has the highest level of security/smallest particle size available (0.8mm X 2.5mm) out of any paper shredders on the NSA’s Evaluated Products List. In fact, the shredded particle size is 60% smaller than current NSA requirements for classified document destruction. As terrorists, criminals, identity thieves and global adversaries become more sophisticated and dedicated to obtaining information, it is important to stay ahead of the curve. What’s more, information breaching technology often advances before security catches up to it. As a desperate response, security standards are tightened after breach. By then it is too late, the damage has already been done. Do not wait until it is too late–if it is a matter of National Security we recommend staying on the forefront on classified document destruction with the SEM Model 344 High Security Paper Shredder. Each unit comes with a Premium Supply Package consisting of a case of oil (2-one gallon jugs) and a case (50) of waste collection bags. For quick purchases or more product information, click here.